Home Interviews TNcoin Interview with Fund Manager Luis A. del Mazo, Jr.
TNCoin is poised to help investors take advantage of this new emerging asset class and technology. 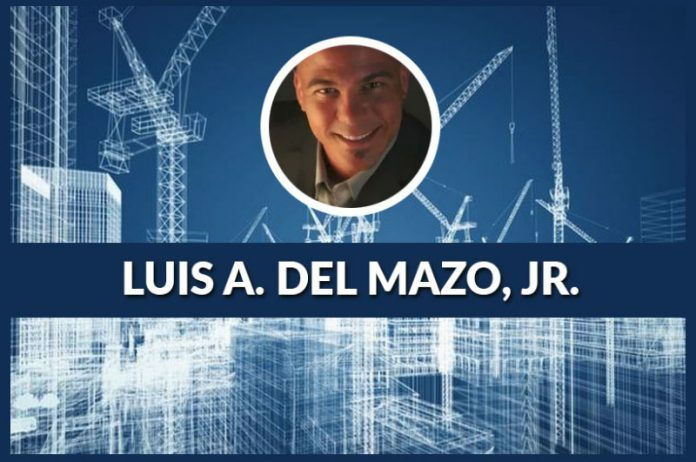 Luis A. del Mazo and his business partner, Tanya Rodriguez, CIPS have a high level of knowledge in Real Estate and blockchain investing and are establishing themselves as real estate crypto pioneers. They are committed to leading the way in this new emerging tokenized real estate industry. We’ll find all about it in this exclusive TNcoin Interview with Luis. Q: Hi Luis! Thank you for joining us today. Could you tell us more about yourself and how you got involved in the TNcoin project? A: Hello and thanks for having me! I have been in the Real Estate Industry since 1998 and have worked all facets of the industry from renovation to finance. Recently we got involved in Blockchain investing and decided to create our own cryptocurrency backed by Real Estate assets. Q: Who is the target audience for the TN token? A: Our target audience are primarily investors who are looking to invest in Real Estate without losing their liquidity, while enjoying the benefits of dividend payments and passive residual income. As blockchain investors everyone knows the volatility of the market, and think in the next few years we will see more stable options like TNCoin. Q: The TN token is a security token, what are the advantages of security tokens? A: Security tokens are securitized with an asset unlike utility tokens which are backed by a technology and more speculative investments. We are looking to securitize Real Estate assets while paying out the dividends to token holders. Q: What is real estate tokenization? A: Real Estate tokenization is the aspect of securing Real Estate assets with digital shares known as “Tokens”. Each token represents an ownership interest in the fund and a right to the dividend payments issued to that token or security instrument. Q: Why was the Stellar blockchain platform selected for the development of the TNcoin blockchain and token? A: The Built-in exchange feature was the number one reason we chose Stellar! Right now there are NO exchanges that will list security tokens due to regulatory requirements of security tokens. Many Security offerings today in the United States offer what is called a S.A.F.T. sale which is a sale for future security tokens. We wanted to offer investors liquidity and to make sure we can provide investors with an exit strategy, while at the same time offering an investment with substance other than speculation. Stellar offers many more features than your standard ERC20 token. Please go to our website to learn more about the stellar consensus protocol. 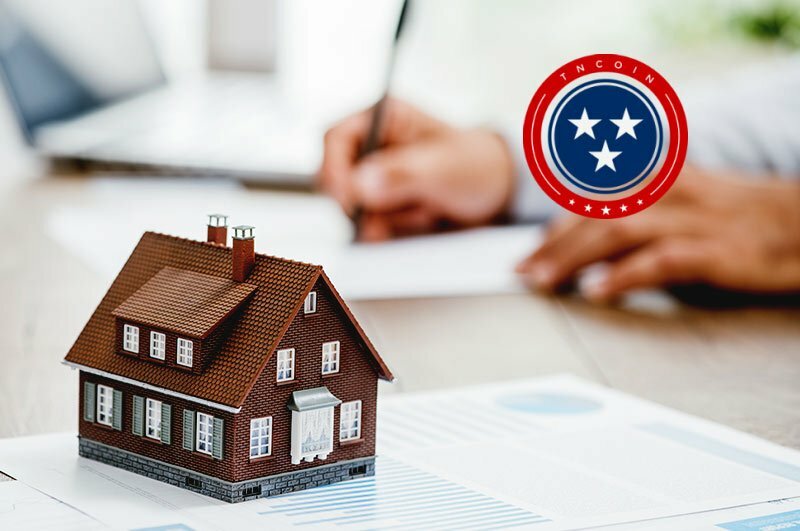 Q: Tell us about the real estate investments you plan to make on behalf of the TNcoin fund? A: We are currently looking at several investments. One being a 68 unit apartment building generating 1.3 million in rents pr. year. another is a portfolio of 48 Residential units. In the end it all depends on the amount of capital we raise and finding the most strategic investment. We want to make investments that will generate the maximum rate of return for our investors. We see the most steady rate of return in rental and mortgage notes and will also engage in fix and flip projects. Q: What is the current stage of the TNcoin project? A: We are currently working on creating our new tokens using the stellar consensus protocol. We originally were using ERC20 tokens but have decided to abandon them. We don’t want to offer useless security tokens to investors. Q: Tell us about the business plan for the TNcoin investment fund? A: Our business plan is to provide a slow and steady rate of return over time. We are in the capital venture phase now and would like to be able to offer Regulation A plus offering in united states and open up to all levels of investors . This involves lots of legal infrastructure that will require more capital. We feel that in the next year we will see more and better acquisition opportunities present themselves. We want to focus on building streams of revenue with rents and fixed rate mortgage notes. Like any new venture, nothing will happen overnight but will begin to fruit over time! Q: What can you tell us about the TN token sale politics (dates, terms, bonuses)? A: Token sale begins July 30th, 2018. We are offering a 30% bonus due when soft cap Goal is met. We have a 1000.00 dollar minimum investment. We are also offering 5 free tokens to register and share this opportunity with your friends on social media. Q: What has been your biggest challenge so far working on the TNcoin project? A: Nothing has been easy. We have been breaking down the challenges and figuring them out as we go. But so far the biggest is finding the right protocol for liquidity. Not being able to promise liquidity to investors is a huge hurdle for trying to raise capital. Liquidity is the ultimate key to these projects. A: My day starts like every investor, reading the news and following up with the days events, while strategizing my own daily plan. Everything is about strategy and taking the time to know what you want and how you are going to get it. Everyday it about taking tiny steps in the right direction. Nothing in life is fast and easy. That is a myth! Then I like to exercise. It helps me think and clear my head. The rest of the day is business as usual which is right now trying to raise capital and create TNcoin. We also show property to clients, make offers, and look for acquisitions. We are also working on a renovation project in Chattanooga, TN. Q: Could you share your 3 predictions for the next 5 years of crypto/blockchain economy? A: Crypto will see lots of institutional capital enter the market once the liquidity issue is resolved with security tokens. Like I said before investors want more securities than speculative utility tokens. I’m guessing that we will see more protocol tokens like Stellar take off and will become more popular as they are your next generation ICO protocols. I really like stellar because you don’t have to pay an exchange a million dollars to list, then 500k pr. month maintenance. Stellar changes that dynamic of having to list with exchanges. Another great investment are exchanges Tzero which is focusing on security listings and working together with polymath is an example of the demand for security exchanges. In America all major exchanges are adding crypto. There is a mad dash for liquidity right now. Everyone is looking on how and where to liquidate their security tokens, so exchange tokens are another solid investment. I’m not big into technology investments long term, as technology changes daily and is not backed by anything. As we know nothing is certain so it’s hard to predict what is going to happen, but what I do know is that crypto is going to change banking and money as we see it today! Hope this was helpful and thank you for having me! Look forward to talking to you again!